For those who missed CHF Canada’s 50th anniversary Annual Meeting in Victoria last spring, or for those who’d like to review a session that many participants said was a valuable highlight, we’ve produced a video of the Vision Panel keynote session now available on CHF Canada’s YouTube channel. The Vision Panel, sponsored by Vancity Credit Union, was a special exploration of Canada’s urgent housing needs. 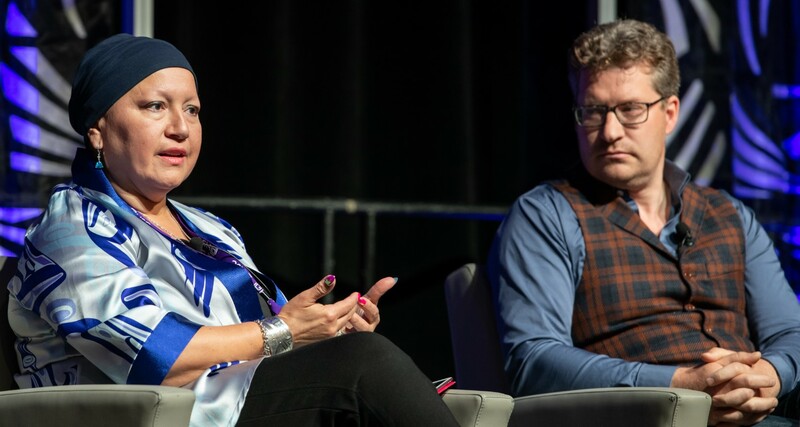 Held during the anniversary plenary and moderated by co-op member Darrah Teitel from Abiwin Housing Co-op in Ottawa, it featured panelists Margaret Pfoh (Aboriginal Housing Management Association), Paul Kershaw (Generation Squeeze) and Shachi Kurl (Angus Reid Institute). Both videos include captions in English or French. We hope you will share these videos with members of your co-op to rally support for action on the goals and objectives of our new shared vision of “Co-op Housing for All”. If you would like to receive a link to download a high resolution version of the video to show at a co-op meeting, contact CHF Canada’s Program Manager, National Communications, Scott Jackson at sjackson@chfcanada.coop.